A coalition of housing and homelessness peak organisations in Victoria has responded to the Victorian Government’s consultations on social housing. And the group, led by VCOSS, is calling on other community organisations to endorse the joint statement, which sets out five key principles for progress towards a fairer housing system. “For too long, fixing our housing problems has been put into the too-hard basket, with the result that there are too few houses, decaying public housing stock and community housing providers who are unable to meet increasing demand,” Carolyn Atkins, the Acting CEO of VCOSS said. “As housing has become less affordable, rates of home ownership have decreased, affordable private rental properties have all but disappeared and social housing systems have been strained to breaking point. “The failure of the private housing market is putting ordinary Victorians under strain and is catastrophic for many people experiencing disadvantage,” she said. “The Victorian Government has recognised the scale of the problem and recently announced a public consultation as part of the development of a future social housing framework. 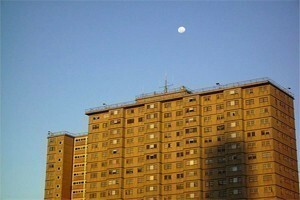 The Victorian government has said that over the past two years there have been a Parliamentary Inquiry and a report by the Victorian Auditor General into public housing in Victoria, and they both said that the future of public housing will be at risk if changes are not to the system. The Auditor General said that the operating model for public housing is unsustainable and that this situation had developed over at least the last decade. The public consultation period will be open until 31 July 2012. A summary of the Government’s report can be found here.